Before the Christmas day, Roman Catholic Filipinos do attend 9-day morning mass - an early dawn mass celebration around 4 o'clock in the morning. The bibingka - made of glutinous rice - is prepared in various ways - its mixture, and the way it is cooked differs in different provinces of the Philippines. A delicious treat of bibingka is served like this photo at the right corner. It is soft, sweet but not too sweet, with taste of saltiness because of salted eggs and grated coconut meat. Every slice of it is a celebration in one's mouth. Bibingka is cooked in between fire. That is the conventional way of cooking it. There is this fire that heats the pot pan, where the bibingka mixture is poured, then it will be covered by a cover with burning charcoal. Both fire create an awesome golden color of the rice cake. 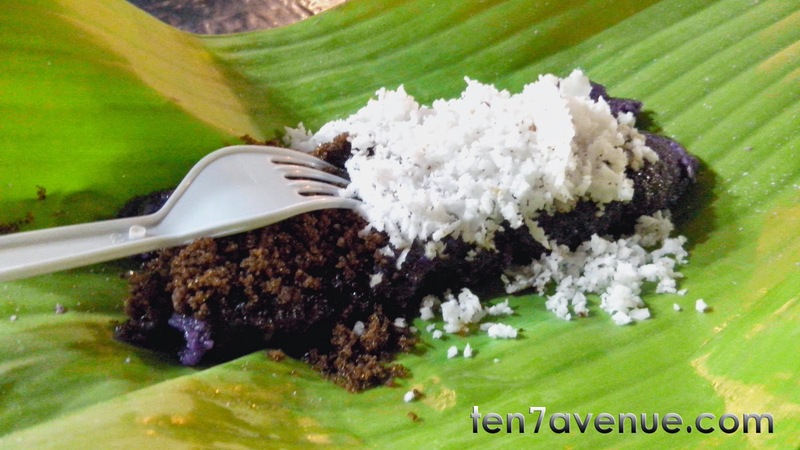 Puto bumbong - also made of glutinous rice - is a delicious treat during Christmas season. 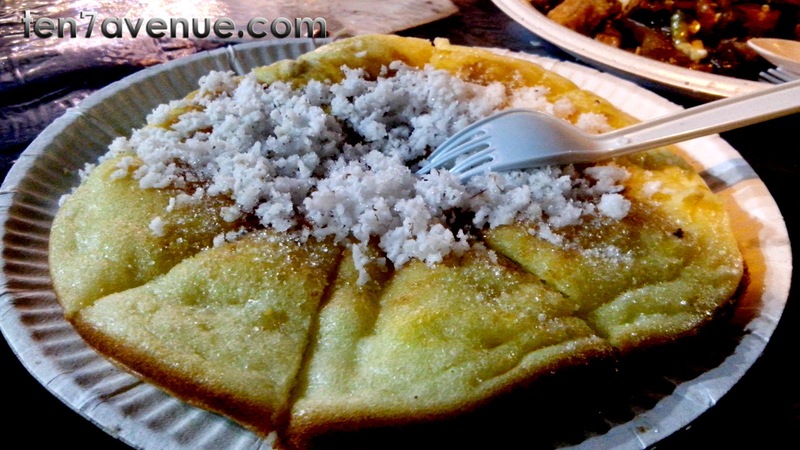 It is usually purplish in color, not too sweet - a bit heavy in the tummy - melted with butter or margarine then topped with muscovado sugar and grated coconut meat. 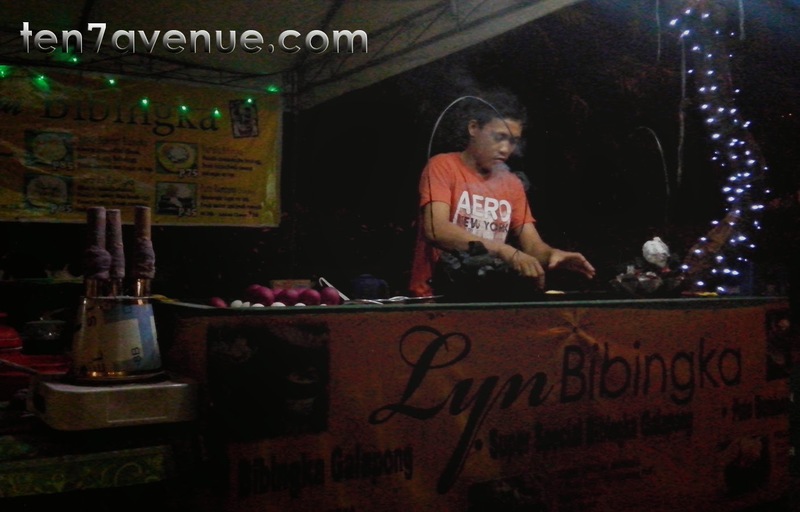 If the bibingka is cooked in between fire, this delicacy is cooked on steam. Usually a bamboo shoot is used where the mixture is put, then it is steamed in few minutes. The steam helps the cooking process of the delicacy; the steam penetrates the mixture and becomes visible on top of the shoot - that signifies that it is done already. These are the food stars of the Christmas season. Bibingka and puto bumbong are sure delicacies on top of the list on every table. Enjoy this season and enjoy visiting www.ten7avenue.com.